This entry was posted on Monday, January 31st, 2011 at 9:42 pm	and tagged with Benjamin Marston Watson, Concord Massachusetts, Henry David Thoreau, History, Plymouth Massachusetts, Ralph Waldo Emerson, Transcendentalists, U.S. History and posted in Transcendentalism. You can follow any responses to this entry through the RSS 2.0 feed. Yep. Right in the front parlor of that house. I wonder, since you are from the Concord area, have you ever had a look in the collection of the Concord Public Library at the 100+ letters written by WEChanning, Jr. to Mary Howland Russell Watson? Seems like quite a trove, and by far the bulk of that collection. I guess she wasn’t just Thoreau’s “Maiden”, but a muse to all… If you have seen them, I’d be interested in your impressions. I am sorry to say I have not. Researched in that wonderful library a number of times, but never delved into that collection. Sounds like something to look into when I’m next there. My great-grandmother (from Kansas) was a first cousin to Christina Watson Bowler and she, along with my grandparents, stayed at Hillside in the 1950s or 1960s. Thanks for your informative piece – I’ve always been curious about the current residents of the house and its condition. Do you know who currently owns the house? Seems like such a historic location should be preserved. Thanks very much for commenting. Very interesting to hear about your family’s connection to the house. I do know who currently owns the house but have never met them. They have, I believe, owned the house for quite some time. Whenever it should change hands, I do hope the next owners preserve it! I enjoyed your material about Thoreau and Hillside. 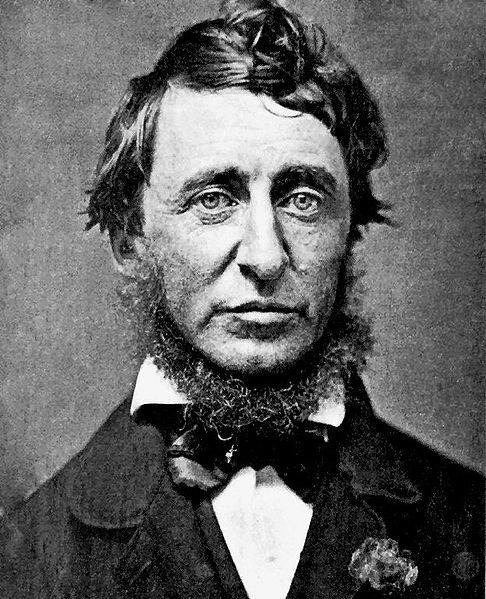 I’m currently working on a writing & art project about modern issues, with a Thoreau connection. In the first stage of my project, I drew on Thoreau’s ideas and combined these with photos and writings I undertook while living two months on a remote Tasmanian island as artist-in-residence. I exhibited this work in Tasmania, and was interested that after seeing it, some people planned to get a copy of Walden immediately! I’m now going through Harding’s biography of Thoreau and finding it fascinating in terms of what Thoreau did and who he knew. Sounds like a fascinating project, Marsha. A Tasmanian Walden! Thanks for reading.